Thank you for attending the 2015 Appreciation Ceremony. I hope you all feel the respect and appreciation that your child wanted to express by offering you the tea. Thank you to the students for bringing back the bamboo piggy bank and thanks to parents' generous donation for helping the victims of Nepal earthquake. We counted a donated bill total of $4,259.85, and we will count the coin donation this Saturday, and will soon be able to announce the total donation we collected on May 9th. If you have 3 minutes, please pray for Nepal. If you have only 30 seconds, please send your love and care. If you want to know how Nepal looks now, the first 4 minutes of below link will show you. If you want to know how the Tzu Chi Foundation used your donation, please let us know. 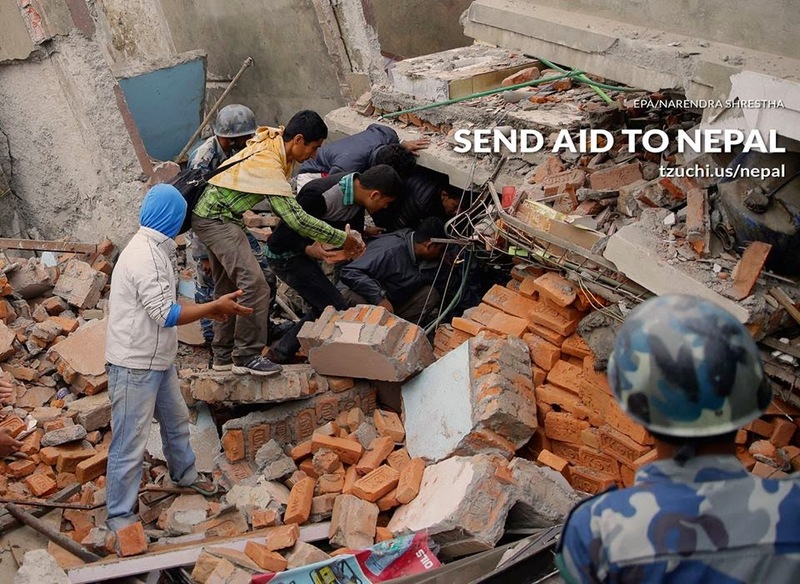 We are more than happy to keep you in touch with the Tzu Chi relief action in Nepal. Thank you for trust and support of the Tzu Chi Academy. 每年的母親節是慈濟的三節合一日, 是浴佛節, 是母親節, 同時也是慈濟日. 我們感佛恩, 感父母親師恩, 感眾生恩. 因此我們的感親恩活動中已經持續許多年有"竹筒回娘家"的時段, 就是要 帶領學生以實際的行動把每天心存善念的成果, 一起匯聚成大大的愛心, 去幫助需要幫助的人. 學校還準備有 "Prey and Help"祈福送暖募心募款的卡片, 您可以寫上您的祝福, 鼓勵話給災民.